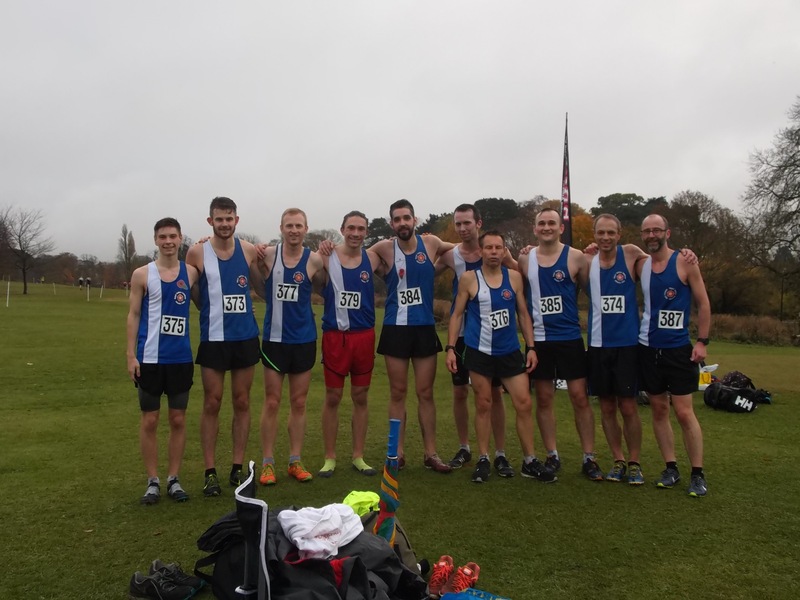 The new cross country season started on Saturday for the seniors of Royal Sutton Coldfield Athletics Club with the men venturing down to Cheltenham in their return to Division one of the Birmingham and District cross country league. Competition was expected to be fierce with all the region’s top athletics clubs and universities competing in the four fixture season and a tough road ahead for RSCAC to retain their place in the top flight. On a fast and firm course there was some excellent individual and team running resulting in a promising start to the season with Shaun Evans running through strongly after a slow start to coming home in 20th place followed by Ollie Harradence in 48th position. These were well supported by Alex Jones, making his senior debut, and Tom Chew in 101st and 107th positions with the scoring team being completed by Mark Rickards (162) and Dave Long (164) who ran tactically gain valuable points between them. At the end of the day, team RSCAC were placed 10th overall, four places and 83 points above the relegation places. The B team was made up of Simon Corker, Russell Simpson, Dean England, Matt Powell, Iain Mackie (in his debut run for the club) and Trevor Lewis with supporting running from Paul Jenkins. The second league fixture is on 3rd December on the challenging Sandwell Valley course where the club hope to build on this encouraging start. For the clubs senior women, their Midland Women’s Cross Country League division 2 campaign started at Newbold Common in Leamington Spa. After torrential rain in the morning the weather improved to give a damp but warm start to the race on this hilly course for the five club athletes who ventured out, 2 of whom had only just reached the age to compete in this league. It was an excellent result for the club, the team finished 8th out of the 26 teams competing in the division with over 220 runners competing. The first finisher for the club finishing in 3rd place overall and 1st Junior was Georgia Currie followed by Andrea Deathridge (19th) Held Elsoueidi (86th) Rachel Thebridge (87th) and Georgia Delaney (100th). An excellent performance we now look forward to the next meeting on the 3rd December at Stratford. The first competition is at the Alexander Stadium’s Hi pac on Saturday 14th and Sunday 15th January 2017 and is available to u13 age group upwards. The closing date for the first competition is 28th December. The events available for all four competitions vary according to age and venue…..please look at the website to see whether any of the events appeal to you. Well done to all athletes who competed tonight. What a turn out! There were some great individual performances to form a good team performance. Keep looking at the Birmingham Sportshall Facebook and Twittter pages for results. Next one: Sat 10 December, 5 – 8pm. Put the date in the diary now!